Dr. Mounts is from the small town of Oak Grove, Louisiana. She attended Louisiana Tech University and graduated in 2002 with a Bachelor’s degree in Animal Science. 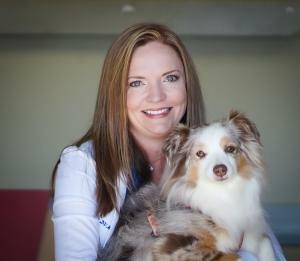 She then attended LSU School of Veterinary Medicine, and graduated in 2006 with a doctorate in veterinary medicine. Dr. Mounts began her veterinary career at a fast-paced mixed animal hospital. After 2 years of practice, she joined the PetStar team in Ruston, focusing on small animal medicine, surgery, and ultrasonography. In January 2017, Dr. Mounts became the business owner of PetStar Animal Care in Ruston. Dr. Mounts is grounded by faith and family. She is driven by her compassion for animals, and strives to provide the best care for her patients. Dr. Mounts enjoys spending time with her husband Bobby and children Paxton and Paisley. She also enjoys playing with her energetic dog Oakey and caring for her cats, Jake and Ariel. Dr. Kristi Marie Laffitte grew up in the Calhoun, Louisiana area. She earned her Bachelors degree in Animal Science from Louisiana Tech University. She then earned her Doctorate of Veterinary Medicine from Louisiana State University in 2016. 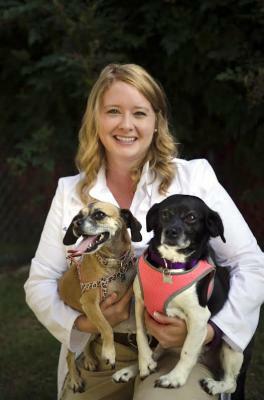 Kristi began her veterinary career at PetStar Animal Care, caring for small animals. Kristy loves spending time with Jesus, her amazing huband Zack, her horse Banjoe, and her dogs Carlie and Possum. Dr. Bethany Busby was born and raised in Minden, LA. She received her Bachelor’s degree in Animal Science from Louisiana Tech in 2011. She then earned her Doctorate of Veterinary Medicine from Louisiana State University in 2015. She has worked in small animal practice and completed a fellowship in shelter medicine. Her special interests include dermatology, oncology, internal medicine, and shelter medicine. She has done a lot of work with community cat (feral cat) programs in south Louisiana and really enjoys this aspect of population control. In her free time, she enjoys spending time with her family and friends, attending church and helping with youth programs, traveling, and reading. She grew up working at Redeemed Ranch Camp and still volunteers her free time there when she gets the chance. She has four dogs named Bailey, Bella, Bug, and Albus. 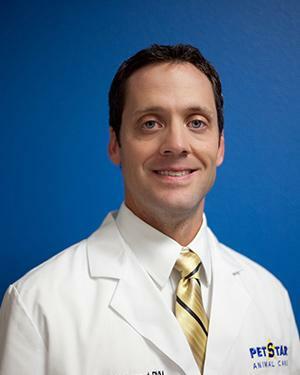 Dr. Trey Underwood was born and raised in Bossier City, LA. He received his bachelor’s degree in Animal Science from Louisiana Tech University in 2000. He earned his Doctorate of Veterinary Medicine from Louisiana State University in 2004. Dr. Underwood's veterinary career began in Ruston as an associate at All Creatures Animal Hospital. He purchased the practice in October 2006, and launched the PetStar concept. In August of 2012, he brought that concept to Natchitoches. Dr. Underwood has a mission to bring quality veterinary care to North Central Louisiana and will strive to treat your pets as if they were his own. As a devoted father and husband, Dr. Underwood enjoys spending time with lovely wife, Jessica, and beautiful daughters, Olivia and Gracelyn, and his son, Tucker. He also loves to hang out with his two black labs, Trick and Scoop, and his tailless cat, Montey. "I have been so blessed in my life. I would like to thank all of my clients for trusting in our team to provide care to their loved ones. There is absolutely no way we would be here without each of you. I would also like to thank every PetStar team member. You have made this dream a reality."